Swarm Blog: Magnet Racer Arcade's Attractive Android Action! Magnet Racer Arcade and Magnet Racer Arcade Free by Josh Harris are a pair of physics games that are full of attractive Android game action. 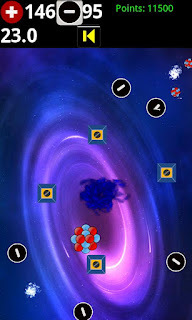 In Magnet Racer Arcade, players are tasked with using positive and negative charges to guide a particle to the portal. 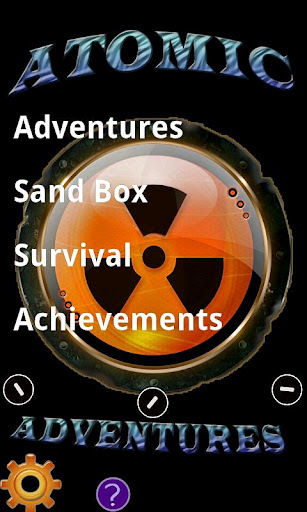 This Android game features over 100 levels and multiple game modes including lightning, nexus, black hole, genius, and survival modes. 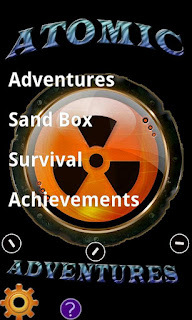 After completing the game's stock levels, players can create their own levels or play levels created by the community. In addition to all of the levels, Magnet Racer Arcade keeps track of scores on a global leaderboard (powered by Swarm) that enables players to compete with anyone, anywhere. There are also currently more than 20 unique achievements, and support for 36 different languages. Players wishing to upgrade from Magnet Racer Arcade Free to the full version of Atomic Adventures will get a larger screen playing area, no ads, unlimited custom levels, and some harder modes. Wow, that's a lot. Take a peek at the screenshots below and then head on over to Google Play and download Magnet Racer Arcade!